Justice For Kennedy: Joe Kennedy Wins! NEWTON — Democrat Joseph P. Kennedy III won a decisive victory tonight over Republican Sean Bielat, in the race to fill the open Congressional seat left vacant by the retirement of US Representative Barney Frank. 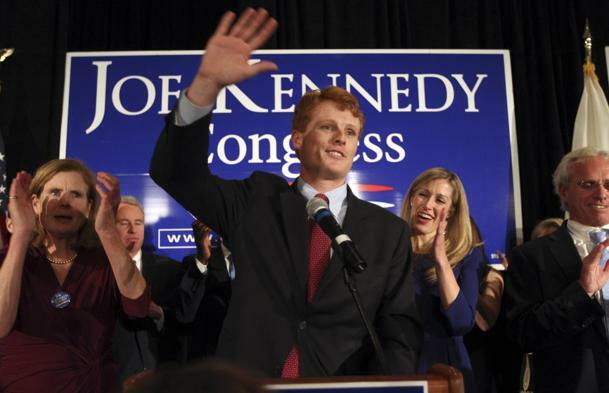 With 42 percent of the vote counted, Kennedy, the 32-year-old son of former US Representative Joseph Kennedy II and grandson of US Senator Robert F. Kennedy, led with 64 percent of the vote in the redrawn 4th Congressional District, which extends from Newton to Fall River. “This is an incredible moment for me, and I can’t think of anyone I’d rather share it with than you,” Kennedy said. “I’m humbled, I’m grateful and I’m ready to get to work,” Kennedy said. He also expressed well wishes to Bielat, who has 34 percent of the vote. Cheers went up and people in the crowd hoisted Kennedy signs in the ballroom at the Newton Marriott where the campaign party is being held. But the crowd remained huddled around the television watching presidential results. The cover band at Bielat’s event cut short their rendition of The Beatles’ “Come Together” as Bielat, joined by his wife and two young children, entered the room of supporters, who all stood as he entered. “The night has not developed as we had hoped,” Bielat said, never letting his smile slip. “We ran the campaign we wanted to run.” Bielat said he had already called Kennedy to congratulate him, and reminded voters to support their new congressman in Washington, and hold him accountable. “He’s representing all of us now,” Bielat said. Many of the 50 people attending Sean Bielat’s event stared ahead silently, somber expressions ubiquitous in the room as polling results flashed on a television screen. In other congressional races, Democratic incumbent US Representative Niki Tsongas retained her seat in the third district, Democrat Edward J. Markey retained his fifth district mandate. Democratic incumbents Michael E. Capuano won in the seventh district, Stephen F. Lynch won the eighth district and William R. Keating in the ninth district retained their seats. 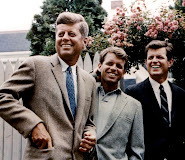 Kennedy’s win restores his family’s long connection to the nation’s capital, which dates to 1947, when 29-year-old John F. Kennedy became a Massachusetts congressman. 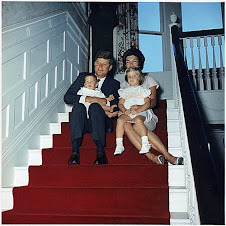 For the next 64 years, at least one member of the Kennedy family served continuously in the House, Senate or White House. The family’s steak was broken in 2011, with the retirement of Rhode Island US Representative Patrick Kennedy, son of the late Massachusetts Senator Edward M. Kennedy. 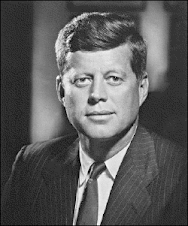 Senator Kennedy died in office in 2009. Kennedy, a former Peace Corps volunteer and county prosecutor, had for several years been considered a potential candidate for office. Kennedy had to wait an hour in line to vote for himself Tuesday morning, due to long lines at his polling place in Brookline, according to the Kennedy campaign. Kennedy and his fiancée, Lauren Anne Birchfield, chatted with other waiting voters, and then cast their ballots around 8:30 a.m.
For Bielat, the race marks his second loss in two years; the 37-year-old Marine Corps Reserve officer gave Frank a tough race in 2010. Kennedy widely outspent Bielat in 2012, raising more than $4 million to Bielat’s $866,000, according to mid-October numbers compiled by the Center for Responsive Politics. Throughout the campaign, Bielat accused Kennedy of trying to coast to the office on his family name. The attack resonated with voters who are tired of the state’s famous political dynasty. 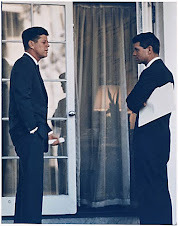 For others, the Kennedy political brand is still the gold standard.